Brit Mums are a collective of lifestyle bloggers in Britain. I recently became connected with their poetry and writing representative Maddy Bennett who runs a fantastic blog and writing forum called Writing Bubble. Maddy recently called for poems associated with love to appear in the Brit Mums February Round Up and I am honored to find that I am one of those poets who have been showcased in the Round Up. It means a great deal to me to find a connection with so many other poets, some of whom are mothers, as well as having a poem shared. In my case it was one of my own favourites, Backseat Driver. Please do checkout the link to the Round Up and have a gander at a wealth of talented lady writers who really do write from the heart. 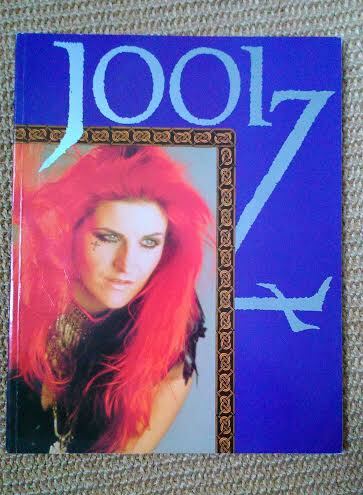 I found this book at the weekend, “Mad, Bad and Dangerous To Know” by cult performance poet and writer, Joolz. I was prompted to hunt around my storage boxes for this when I recently heard her being interviewed for Stand Up And Spit by poet and radio presenter Laurie Bolger. I’ve seen Joolz perform, watching in awe of her striking stage presence; a lioness, High Priestess, a woman. Although her work depicted life far from the world I knew back then, set against the harsh backdrop of poorer towns in North England, whereas I was growing up in the comfortable Home Counties, I was transfixed by her controlled delivery and deeply impressed by the raw and hard hitting stories in her poetry. So impressed was I back then, that on the day of the school Variety Show I took it into my head to stand up on stage, in front of every pupil and teacher, and perform two of Joolz’ poems that I knew off by heart, dressed in a red ball gown in honour of my favourite poet (well, I wasn’t allowed to dye my hair red). Joolz’ poetry is written in the style that I connect with best, plain speaking, no nonsense, no frills. So, I expected that everyone in the hall would understand every word of every line. I knew I was taking a big risk, and when I had finished reading you should have seen the faces before me, jaws were almost dropping and for a moment, I wondered if I had launched myself into the chasm of social suicide. However, the applause that followed was uncertain but it grew and grew until I had finally trotted off into the wings. Joolz now writes under the name, Joolz Denby and has published books of fiction and further poetry which she takes all over the world. “Mad, Bad and Dangerous To Know” is still available via the New Model Army band website. My copy will stay firmly on my bookshelf. 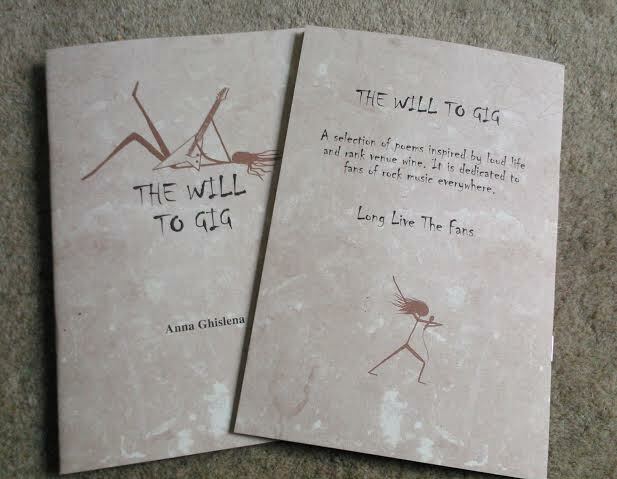 My first printed anthology (or annathology!) 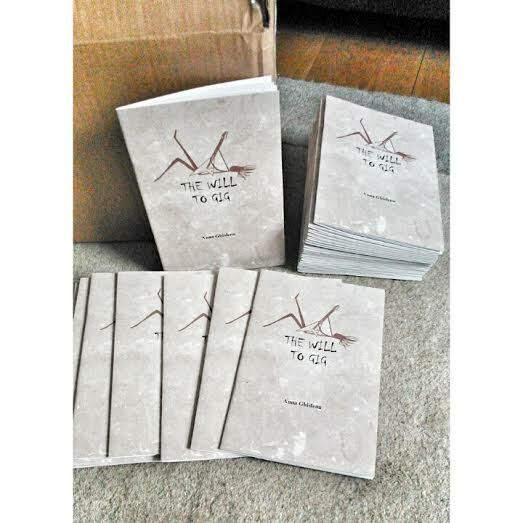 of poetry has arrived. I thought I would share this little sneaky peak with you guys as I am so please with the outcome. Don’t they look brilliant?